The iconic Blackwing pencil was the pencil of choice for Oscar, Grammy, and Pulitzer winners throughout the 20th century. 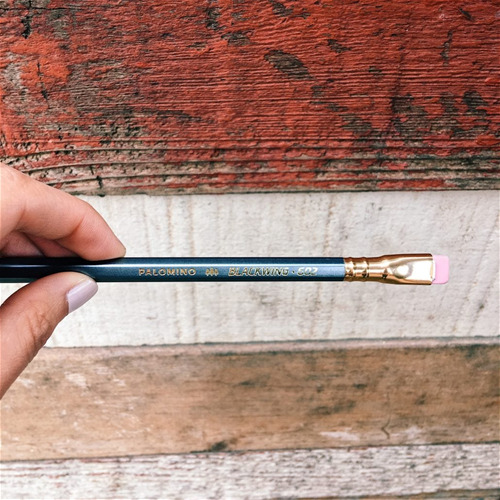 Now, Blackwing pencils and lifestyle products are bringing their timeless style to a new generation of creators. Every Blackwing sale benefits music and arts education. The iconic Blackwing 602 that once commanded up to $40/pencil and was favored by famous writers like John Steinbeck is back. 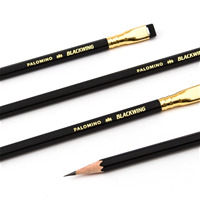 The Palomino Blackwing 602 features a firm and smooth graphite core that is ideal for writers and everyday users who don’t like to sharpen often. 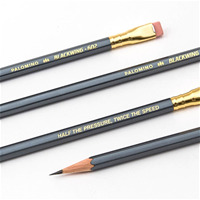 Includes Blackwing’s signature pink extendable eraser and unique ferrule design. Inspired by the past, made for the writers of tomorrow. 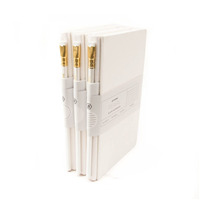 Each box contains 12 firm and smooth premium graphite pencils, crafted from Genuine Incense-cedar. 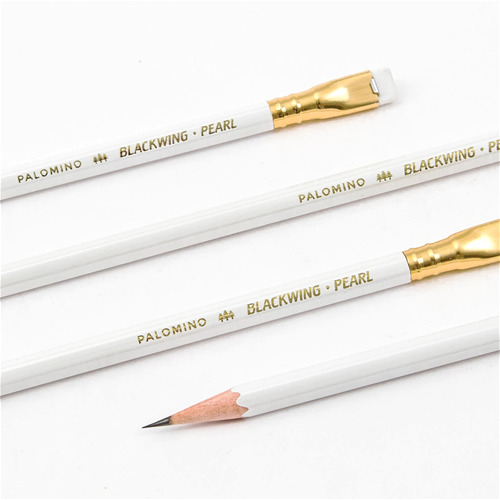 The Palomino Blackwing Pearl is the latest addition to the Blackwing family of pencils and lifestyle products. 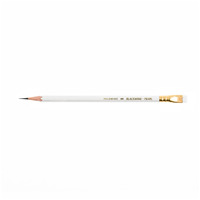 It features a pearl white finish, gold imprint, white eraser, and a “balanced” graphite core that is softer than the Blackwing 602, but firmer than the graphite found in the Palomino Blackwing. Its unique ferrule allows you to extend and replace the eraser after extensive use and even “hack” your pencil to give it a custom look. Each box contains 12 balanced and smooth premium graphite pencils, crafted from Genuine Incense-cedar. With a retro look that is decidedly fresh, the Palomino Blackwing pencil pays tribute to the grand-daddy of legendary pencils, the Eberhardt-Faber Blackwing 602. Blackwing pencils have sketched, written and composed their way across the American cultural landscape. This soft and smooth graphite core is the ideal gift for artists, musicians or anyone who sometimes seeks a more natural existence. The graphite core is the softest out of the standard Blackwing pencils. Matte black finish with black eraser. Replacement erasers available in classic pink, black, white, green, blue and orange. 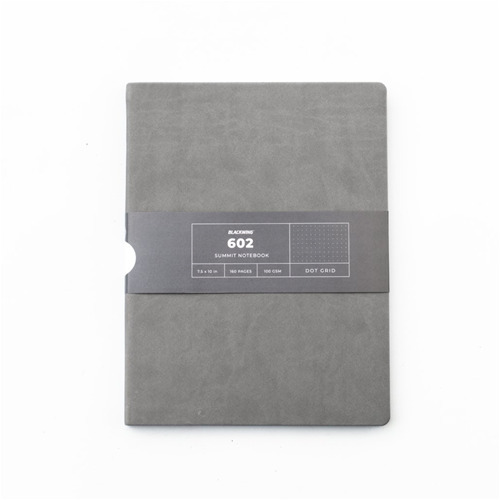 Every Slate features 160 pages of high-quality, 100GSM paper, a durable dual-sewn binding, wear-resistant matte white, black or gray hardcover, canvas spine and unique pencil holster that comes loaded with a Blackwing pencil. The Slate is available in ruled, blank or dot grid paper and there is a version made to pair with each of our core pencils. The Summit notebook is your mobile workstation. 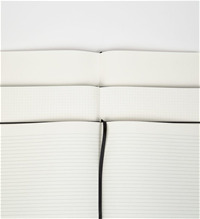 Every notebook features 160 pages of high-quality, 100GSM paper sewn bound between a matte white, black, or gray soft cover. 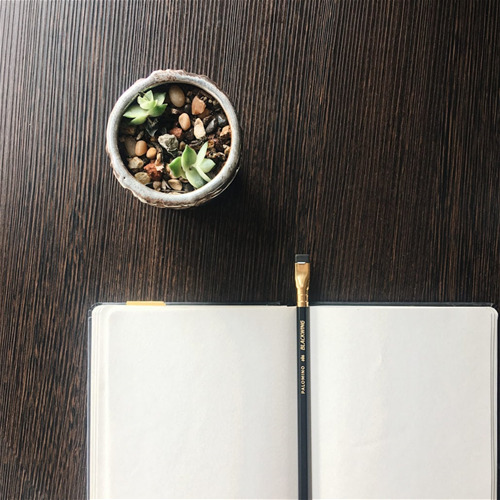 Each notebook measures 7.5in x 10in when closed and 15in x 10in when opened, giving you room for brainstorming sessions, ledger notes, landscape sketches, and anything else your work demands. 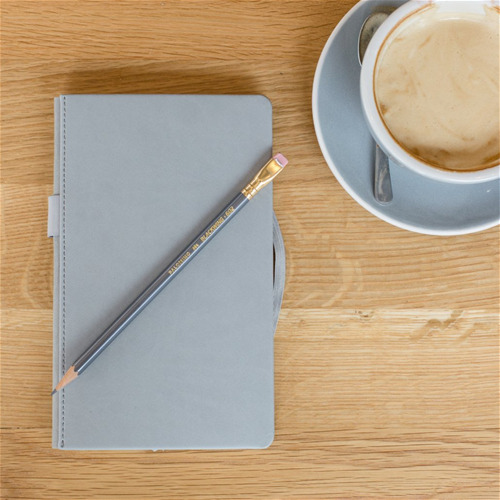 The Summit Notebook is available with ruled, blank, or dot grid paper and in white, black, or gray to pair with the core Blackwing pencils.